Functional peripheral vascular diseases don't have an organic cause. They don't involve defects in blood vessels' structure. They're usually short-term effects related to "spasm" that may come and go. Raynaud's disease is an example. It can be triggered by cold temperatures, emotional stress, working with vibrating machinery or smoking. 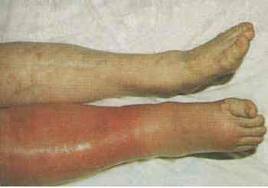 Organic peripheral vascular diseases are caused by structural changes in the blood vessels, such as inflammation and tissue damage. Peripheral artery disease is an example. It's caused by fatty buildups in arteries that block normal blood flow. Peripheral artery disease (PAD) is a condition similar to coronary artery disease and carotid artery disease. In PAD, fatty deposits build up in the inner linings of the artery walls. These blockages restrict blood circulation, mainly in arteries leading to the kidneys, stomach, arms, legs and feet. In its early stages a common symptom is cramping or fatigue in the legs and buttocks during activity. Such cramping subsides when the person stands still. This is called "intermittent claudication." People with PAD often have fatty buildup in the arteries of the heart and brain. Because of this association, most people with PAD have a higher risk of death from heart attack and stroke. How is peripheral artery disease diagnosed and treated? Techniques used to diagnose PAD include a medical history, physical exam, ultrasound, X-ray angiography and magnetic resonance imaging angiography (MRA). Stop smoking (smokers have a particularly strong risk of PAD). Be physically active (including a supervised exercise program). Eat a low-saturated-fat, low-cholesterol diet. medicines to help improve walking distance (cilostazol and pentoxifylline). In a minority of patients, lifestyle modifications alone aren't sufficient. In these cases, angioplasty or surgery may be necessary. Angioplasty is a non-surgical procedure that can be used to dilate (widen) narrowed or blocked peripheral arteries. A thin tube called a catheter with a deflated balloon on its tip is passed into the narrowed artery segment. The balloon is then inflated, compressing the plaque and dilating the narrowed artery so that blood can flow more easily. Then the balloon is deflated and the catheter is withdrawn. Often a stent — a cylindrical, wire mesh tube — is placed in the narrowed artery with a catheter. There the stent expands and locks open. It stays in that spot, keeping the diseased artery open. If the narrowing involves a long portion of an artery, surgery may be necessary. 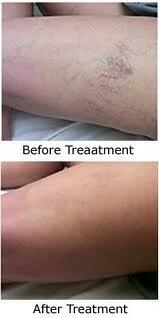 A vein from another part of the body or a synthetic blood vessel is used. It's attached above and below the blocked area to detour blood around the blocked spot. Copyright 2011 Neomedic. All rights reserved.